Telangana DPHFW has given the Civil Assistant Surgeons / Dental Assistant Surgeons Recruitment 2017 notification and Applications are invited through Online from the eligible candidates for the posts of the Civil Assistant Surgeons / Dental Assistant Surgeons to work in Primary Health Centers and Community Health Centers under control of the Director of Public Health and Family Welfare, Telangana State, on regular basis. Notification, Instructions and Information Bulletin are Availability of Notification, Instructions and available in the website http://dophfw.cgg.gov.in Information Bulletin From 14-12-2017 onwards. The Detailed Notification and Application and Information Bulletin is available in the website http://dophfw.cgg.gov.in. Note: - Total No. of vacancies are subject to increase or decrease by Director of Public Health & Family Welfare, TS., Hyderabad. b) i) 75 Marks will be allocated against the marks obtained in the qualifying examination i.e., Aggregate of Marks obtained in all the years in the qualifying examination. c) Weightage up to 20 Marks will be given to candidates who are working as Civil Assistant Surgeons on contract basis in T.S. with the conditions shown below at “g” of this Para. d) Upto 5 marks @ 1.0 mark per each completed year after acquiring requisite qualification. e) Applicants should have minimum Six months of continuous service as Contract Civil Assistant Surgeons to be eligible for weightage. f) They should have put in satisfactory service. The candidate will not be given any weightage, if any adverse remarks are passed. Candidates should enclose a certificate from the controlling Officers concerned (P.O. / DM&HO / Medical Supdt. etc.) to that effect and an undertaking by themselves in prescribed proforma (Enclosed in Annexure I) provided in the application. b) i) 75 Marks will be allocated against marks obtained in the qualifying examination i.e., Aggregate of Marks obtained in all the years in the qualifying examination. c) Weightage up to 15 Marks will be given to candidates who are working as Dental Assistant Surgeons on contract basis in T.S. with the conditions shown below at “g” of this Para. d) Upto 10 marks @ 1.0 mark per each completed year after acquiring requisite qualification. 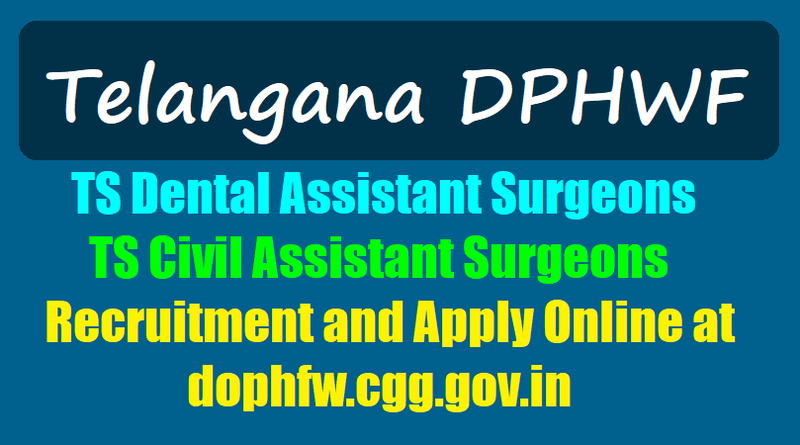 e) Applicants should have minimum Six months of continuous service as Contract Dental Assistant Surgeons to be eligible for weightage. f) They should have put in satisfactory service. The candidate will not be given any weightage, if any adverse remarks are passed. Candidates should attach a certificate from the controlling Officers concerned (P.O. / DM&HO / Medical Supdt. etc.) to that effect and an undertaking by themselves in prescribed proforma (Enclosed in Annexure I) provided in the application. a. Caste Certificate alongwith Non-Creamy Layer Certificate as per Form- VIIB / Creamy Layer Certificate as per Form-VIIC in case of Backward Classes. b. Study Certificate from IV to X class and Residence Certificate is respect of candidates who has studied SSC private i.e. 7 years prior to SSC. c. MBBS / BDS aggregate of marks obtained in all the years in qualifying examination. Detailed procedure for applying ONLINE is given in the Information Bulletin. Candidates can download the “Information Bulletin” free of cost from the website http://dophfw.cgg.gov.in from 14-12-2017 onwards. Eligible Candidates shall submit their applications through online from 20-12-2017 to 18-01-2018 25-01-2018.